Beryl was upgraded to the first hurricane of the season early this morning with winds of 75 mph. 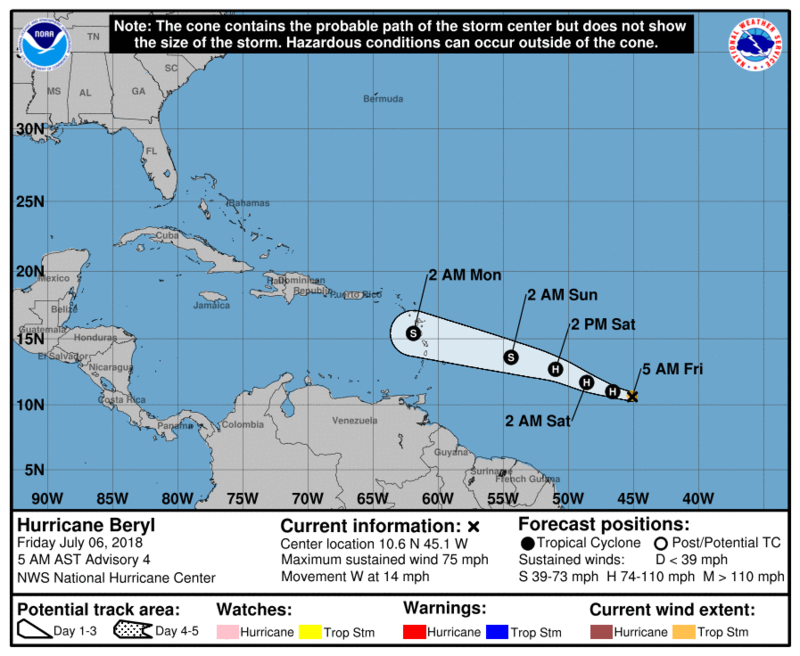 Beryl is forecasted to weaken the next few days, but is now likely to pass through the Lesser Antilles as a tropical storm Sun pm-Mon am. Beryl is a very small storm as Hurricane force winds extend out from the center only 10 miles and tropical storm force winds 35 miles. All interests in the Eastern Caribbean should monitor the progress of Beryl. *Note: Beryl is the earliest MDR (Main Development Region) hurricane on record, beating out 2008's Bertha by 24 hours.